The Agape Church in Yzberisht, Albania, was started in 2013 by Elton and Olta Manelli. Photo provided by European Baptist Federation. Albania, once declared an atheist state, today is very ripe spiritually yet poverty-stricken. The Baptist Union of Albania is one of the smallest in Europe, but very missions minded, as existing churches are being multiplied. 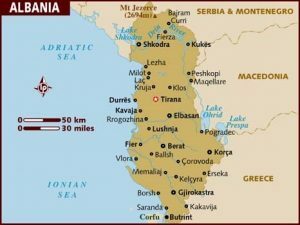 Christianity in Albania claims apostolic roots because the Bible mentions a visit of Titus to Dalmatia, the province on the territory of today’s Albania (2 Timothy 4:10). Since the 15th century until the 19th century, the nation was under the rule of the Ottoman Empire when Islam became the dominant religion. In 1817, the British and Foreign Bible Society made efforts toward providing the Albanians with a New Testament in their own language. These foreign efforts led in 1892 to the establishment of the Albanian Evangelical Brotherhood, which had three goals: to preach the gospel, to publish the Bible and to open schools in the Albanian language. In 1944, Albania became a Communist state under the leadership of Enver Hoxha. The Communist regime introduced harsh restrictions on both Christians and Muslims. The ruthless persecution resulted in imprisonments or executions of many religious leaders. In 1967, all religious buildings (about 2,000 churches and mosques) were closed, and Albania was declared an atheist state. In 1991, Albania regained independence and opened its doors to Christian missionaries. Today, at least 160 evangelical churches have been planted in the country. The population of Albania numbers about 3 million comprising 70 percent Muslim, 20 percent Eastern Orthodox, 10 percent Roman Catholic; the total number of Protestants is about 9,000. Albanian Baptists began in 1932 in the city of Korce in southeastern Albania. After the dark period of communism, many missionaries, including Baptists, started writing a new spiritual chapter in the nation’s history. These missionaries together with indigenous leaders founded the Baptist Union of Albania in 2003, which consists of eight local congregations with total membership of about 250. New Church Plant in Yzberisht was started in 2013 by a couple, Elton and Olta Manelli. They selected and trained a team of several persons, who run English classes and organized camps and outreach, women’s and men’s meetings, charity activities and special events. The Manellis recently made a decision to hand over this already established church to another couple while planning themselves to plant a new church in downtown Tirana. 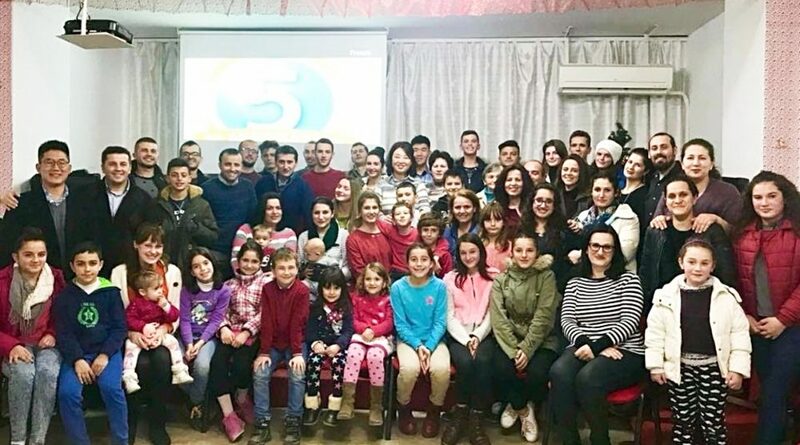 In the most recent report, they wrote, “Six years ago, God called us to get involved in the beginning of a small church in the Yzberisht area, Tirana. We started by preaching the gospel and inviting people to Bible study groups. 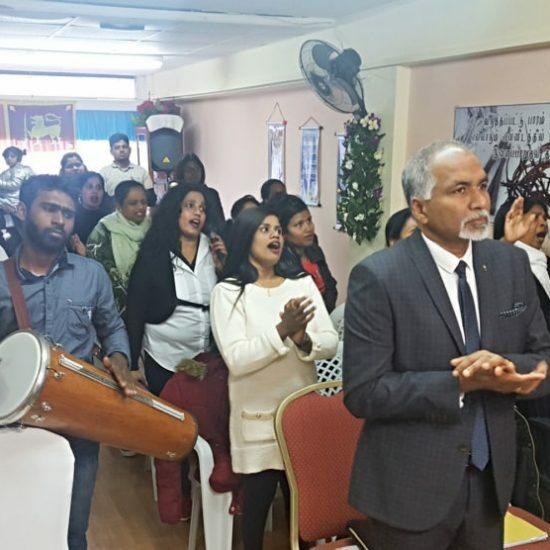 The Manellis also shared about several outreach initiatives, as well as how they are simultaneously leading the initial Agape Church in Yzberisht and starting a new congregation. The growth of Agape Church is a result of fruitful evangelistic work. Here is the testimony of Anisa, who became a Christian and joined the congregation. “I have heard all my life about Jesus, which seemed to me more like a fairy tale. I had to change my mind at the Agape Church’s summer camp, where I met very devoted believers. A longer version of this news article first appeared on the Missions Partnership page of the European Baptist Federation. This version is used with permission from EthicsDaily.com and EBF.